Concrete provides for a great deal of the construction of many modern businesses and homes. 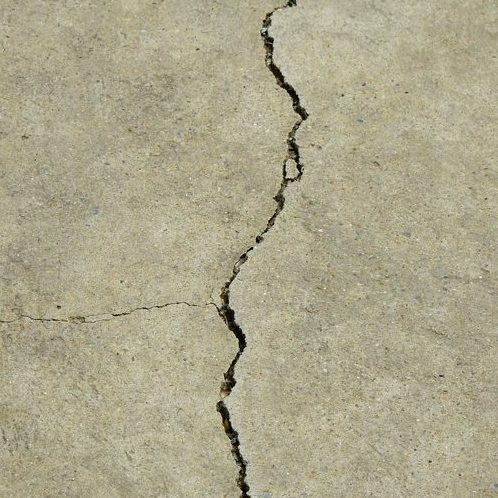 A good way to take care of your concrete is to regularly seal the joints to prevent the entry of water and debris. If you employ a concrete sealer in Waco and Temple, TX, you've helped guard your structure against the harsh Texas weather and high humidity. Each of these climate factors can drastically reduce your concrete's lifespan if not guarded against. To learn more about our concrete sealing services, give 254-716-8685 a call today. Many important components of your property are constructed from concrete such as your home’s foundation, your driveway, walkways and sidewalks, and in some cases, the building itself. Each of these constructs is made with joints cut into them to prevent damage as the concrete expands and contracts. However, when debris and water find their way into the cracks they can cause top layer damage like cracks and divots, as well as seep through the joint to the sub-base to cause much more serious damage. A concrete seal can protect your concrete from seeping water and debris by blocking the entrance through the joint. The concrete sealer in Waco and Temple, TX completely seals each joint while still allowing expansion and compression to ensure a longer life for your concrete. In many cases, home and business owners attempt to apply a concrete seal by themselves. However, an improperly applied seal can have many problems that cause it to lose strength or not work at all. Such as improper adhesion, failure to seal hairline cracks, and inconsistencies in the material. For your concrete sealer, call our experts and rest assured your project is completed successfully! The three main types of concrete sealer that professionals can use are hot pour, silicone, and compression. Hot pour is mixed in a double boiler then poured into the joints while silicone is applied using an applicator instead of heat. Both of these methods offer substantial adhesion and protection while offering incredible all over elasticity. While hot poured sealers are more costly, they tend to last longer without reapplication. Different still, compression seals are pressed into the joint using specialized tools and allow expansion horizontally. These solid constructs squeeze into the joint cutting off any path for debris or water. While this is a low-cost option, standing water can still be a problem, and it will need to be replaced every few years. Our professionals will assess your concrete joints and discuss your options with you, explaining costs, performance, and lifespan to ensure you get the perfect material for your project. We will thoroughly clean and dry your area to ensure optimal adhesion and create a smooth, uniform seal for a neat, clean appearance. When your concrete needs an expert application of concrete sealer in Waco and Temple, TX, call our experts to ensure quality workmanship at a great price. Call our professionals today at 254-716-8685 to schedule your appointment. We also offer other concrete services like concrete stamping and concrete driveway installation, so contact us if you are interested in those services.